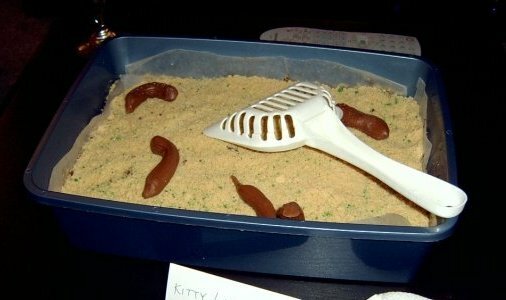 I’ve made this Kitty Litter Cake twice now and it always gets the best reactions out of people. I’ve had people laugh, gag, and I even had someone think that it was actually kitty litter sitting on top of my table 🙂 The best part is that everyone’s always surprised at how Good it tastes. There are several variations on the internet but this is how I’ve done it. 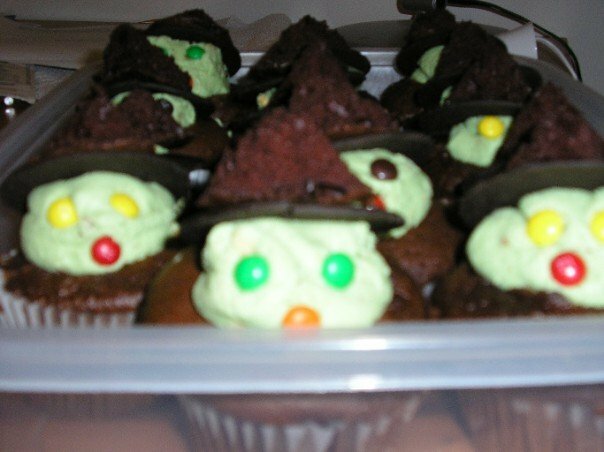 These witch cupcakes were really easy and fun to make. They were delicious too. 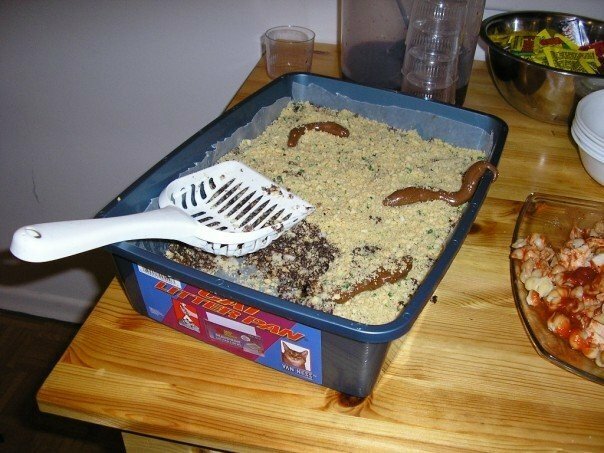 For Halloween, my guests and I snacked on worms in dirt. 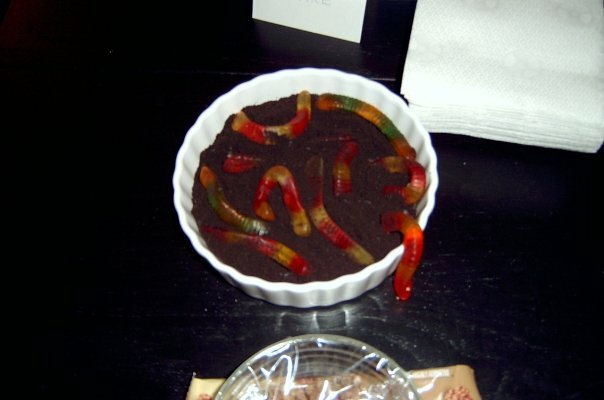 I placed gummy worms in bowls or planters pots with Oreo cookie crumbs. 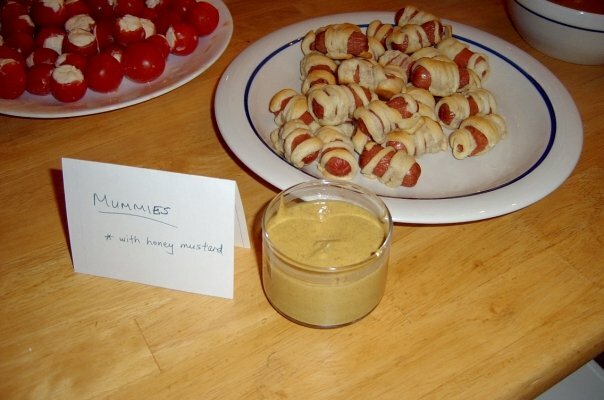 At my last Halloween party, I served cat diarrhea with bones. 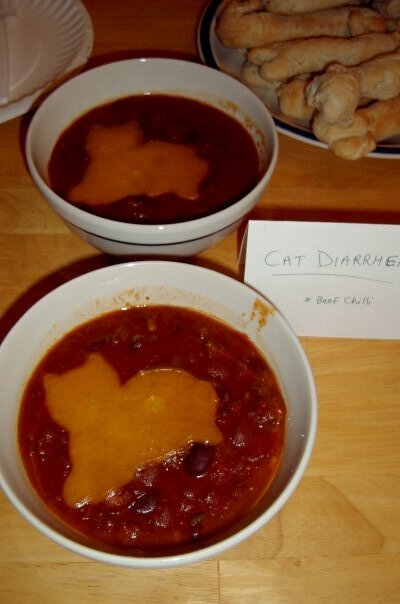 For the cat diarrhea, simply serve your favourite chili (homemade or store bought). I also used a cat shaped cookie cutter to cut out slices of cheese for my chili. 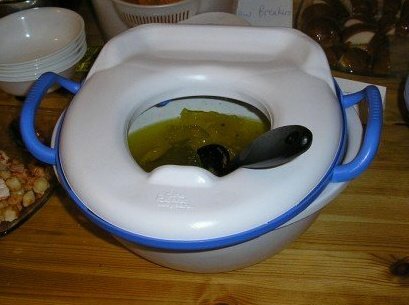 As you can see in the top right hand corner of the picture, I served this with bones bread sticks. I used store bought dough and shaped it into bones by tying the ends into knots before baking. 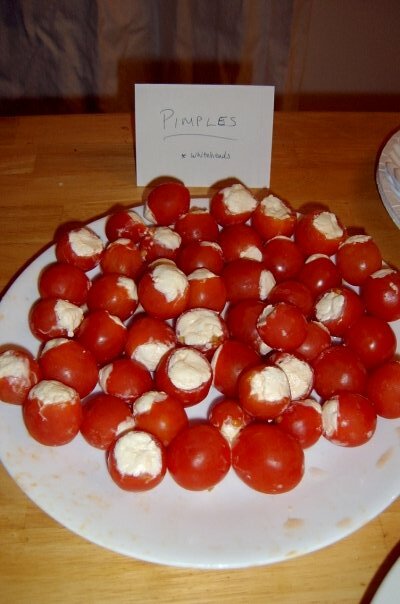 For Halloween one year, I served whiteheads (or pimples).